Get lost in a magical world of lights this holiday season. Visit Sertoma Winter Wonderland at the Northland Arboretum. The excitement begins on Thanksgiving! Winter Wonderland is open for the season with dates from Thanksgiving to New Year's. Breathtaking lights, reflecting off of the sparkling white snow and strung into captivating displays will delight visitors as they drive through the Sertoma Winter Wonderland. This spectacular holiday tradition includes a driving tour of 75 colorfully animated lit displays. These are sure to add a sparkle of excitement to the eyes of families throughout the Lakes Area as they awe over the intricate presentation of lights. Sertoma Winter Wonderland is the largest project of the Brainerd Area Sertoma Club. 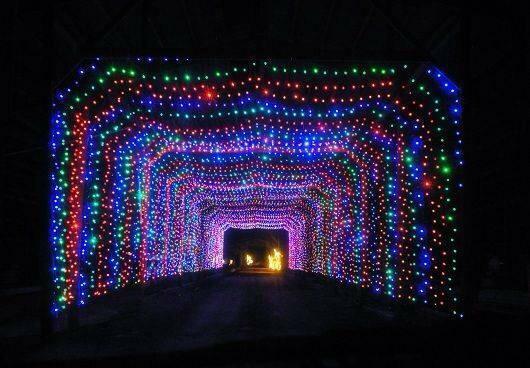 Many volunteer hours go into making this spectacle of lights a reality for our community. All proceeds generated from our generous sponsors and visitors go to helping make Winter Wonderland a reality and benefit local charitable organizations. More than $200,000 in proceeds have been donated to the community since its opening in 2007.